Enjoy the first skiing of the winter season with the high altitude skiing of Pejo 3000, the Presena Glacier and the Grostè peak with an unmissable “all inclusive” offer. STAY and SKIPASS PEJO or SUPERSKIRAMA DOLOMITI Adamello Brenta! 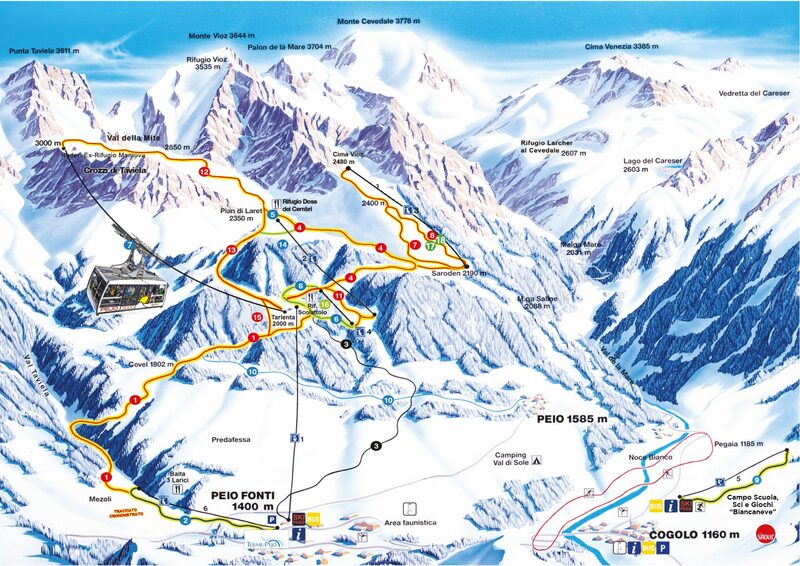 The SUPERSKIRAMA ski pass is valid on the 380 km of slopes of the SKIRAMA DOLOMITES Adamello Brenta: Pejo, Folgarida-Marilleva, Madonna di Campiglio, Passo Tonale-Ponte di Legno, Monte Bondone, Pinzolo, Paganella, Folgaria-Lavarone. See the accommodation facilities that are part of the holiday offer.